Our General Industrial DC-DC Converters are used in every corner of modern equipment & systems about everywhere. We offer different electrical specifications and create competitive advantage performance and cost effective to meet your critical design. Ultra-high Isolation family equipped with very high common mode transient immunity with 15KV/μs qualifies and I/O isolation 4000 to 5000VAC with reinforced insulation, rated for 1000Vrms working voltage. The Medical Grade DC-DC Converters & AC-DC Power Supplies for demanding applications in both medical and healthcare instrumentations. All medical products are approved to latest medical safety standards: ANSI/AAMI ES60601-1, IEC/EN 60601-1 3rd edition with 2xMOPP/2xMOOP. 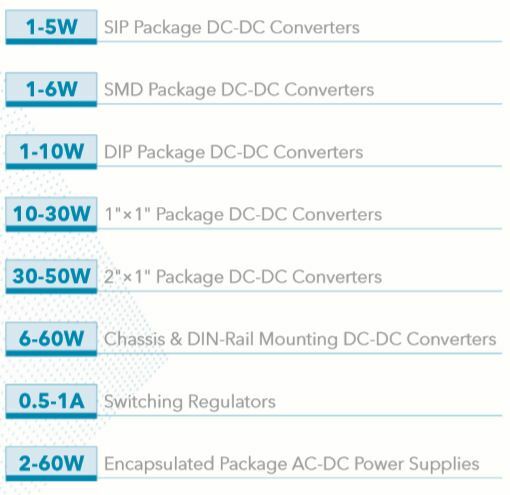 Our Railway Certified DC-DC Converters are designed for stringent requirements and harsh environment. All railway products comply with EN50155 certified and fire protection EN45545-2 approval. Shop for MINMAX Technology and choose from our extensive inventory. Our world class service has made CDI the #1 distributor of Minmax products! 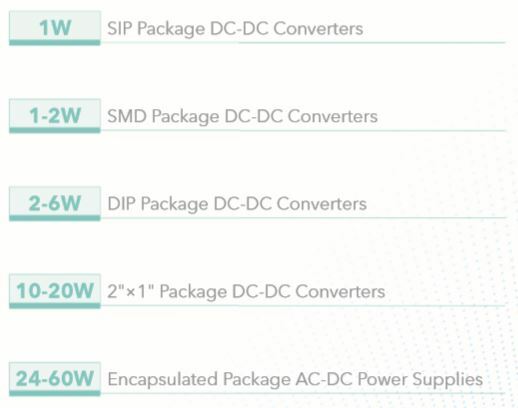 MINMAX POWER is a world leader in the design and manufacture of DC/DC Converters and AC/DC Industrial Power Modules. MINMAX POWER products are utilized in a wide variety of markets including Telecom, Datacom, Medical and Test & Measurement.